Morehouse star to get pro shot with the Knicks, who seem to do pretty well when they have HBCU guys. Tyrus Walker is taking his talents to The Big Apple. 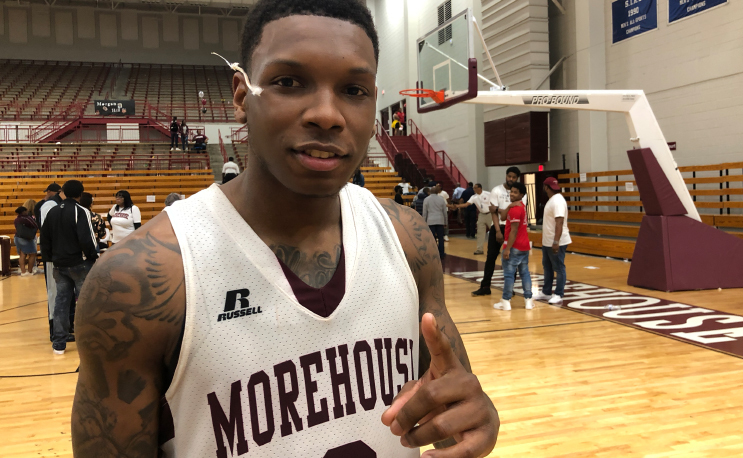 The former Morehouse guard and SIAC Player of the Year has agreed to play for the New York Knicks summer league squad next month. Walker worked out for the Knicks prior to Thursday’s NBA Draft earlier this month. He wasn’t one of the 60 players who heard their names called, but he will get a shot to play at the highest level. Congrats T. Walk!!! @MorehouseMBB All-American, Tyrius Walker (@twalk_02), earns an opportunity with the NBA. The 6’2 guard from Atlanta had a senior season to remember, averaging better than 23 points per game while leading Morehouse to a 25-3 record and an NCAA Division II tournament appearance. That included a career-high 47 point performance in January. The Knicks, whose director of player personnel is former Morehouse star Harold Ellis, drafted Kentucky forward Kevin Knox in the first round of Thursday’s draft. The Knicks have a history of great players from HBCUs on their roster. From the 70s with Willis Reed (Grambling) and Earl Monroe (Winston-Salem State) to the 90s with Charles Oakley (Virginia Union) and Anthony Mason (Tennessee State), each time the Knicks have had a good run, they’ve had some HBCU players. If they can pull Norfolk State’s Kyle O’Quinn back in and Walker earns a spot…who knows?